Apothecary jars are a perfect way to add some rustic vintage charm to your event. 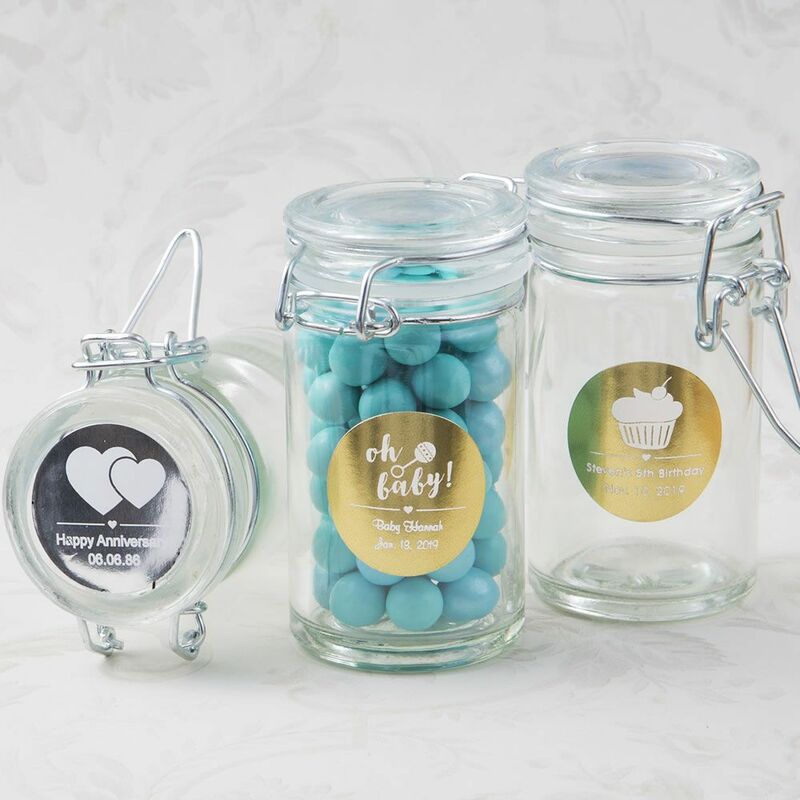 These jars can be personalized with a stunning metallic gold or silver sticker designed by you! 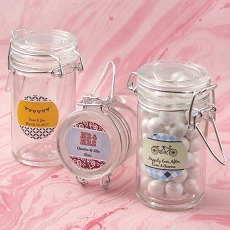 These classic 3.5 ounce jars, sold only by Fashioncraft, are made from glass and feature a cylindrical shape. They have a hinged glass lid with a silver metal air tight locking gasket that is designed to keep the contents fresh. 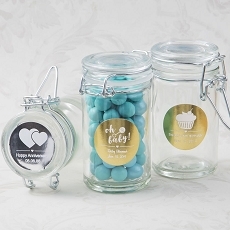 Add an upmarket personal finish to the jars and create your own high-class customized stickers that will be attached to the side or top. Choose your sticker color from a metallic silver with white print or metallic gold with white print. Use our Design Previewer Tool to design your own sticker, using our fabulous new range of themes and type styles with more options to choose from! Your guests will be charmed to receive a thoughtful treat in a stylish personalized apothecary jar that they can take home as a memento. New range of themes and designs with more options to choose from! Stickers come in sets of 35 on a sheet sized 8.5" x 11"